Ironically, Iraqi fiction has been flourishing ever since the US army invaded Baghdad in 2003. Several prominent Mesopotamian writers have emerged in the Arabic fiction arena, penning daring texts that seek to deconstruct the Iraqi identity during this critical phase in the country’s history. During the post-2003 Iraqi novel boom, a new female literary voice has emerged: that of Inaam Kachachi. The Paris-based Iraqi writer started her literary career with Heart Springs (2005) and American Granddaughter (2008), which was shortlisted for the International Prize for Arabic Fiction (IPAF) in 2009 and translated into French, English, and Chinese. 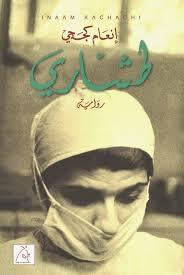 Kachachi’s third and most recent novel, Tashari (2013), which has also been shortlisted for this year’s IPAF award, tells the story of an Iraqi Christian doctor, Wardiya, who finds herself forced to seek asylum in France at the end of her life, aged 84, having seen her family scattered to all corners of the earth. Al-Mustafa Najjar: “Tashari” is a strange title, which may be unintelligible to non-Iraqi readers. What does it mean? And how did you choose it? Inaam Kachachi: The title may be strange, but its meaning is embedded in the novel’s context. [In colloquial Iraqi] Tashari is the birdshot that explodes in several directions. Despite my realization of its strangeness, I could not find a word more expressive of the current Iraqi diaspora. MN: “This is the Élysée Palace, then,” says Dr Wardiya, the Iraqi refugee in France, to open Tashari. The sentence does not have a clear meaning. Does it reflect the refugees’ disappointment about or passion for the foreign countries in which they find themselves? IK: Neither. Wardiya has heard a lot about the Élysée Palace, but when she stands in front of it she finds it an old building with normal guards and a simple sidewalk with passers-by walking on it, without a cement wall blocking their way or a policeman deterring them. She is comparing what she sees with what she knows about presidential palaces and no-go areas in her country. MN: Tashari follows the life of Wardiya, an Iraqi medical doctor, from Mosul, Baghdad and Al-Diwaniya to France. To what extent does Wardiya represent the tragedy of Christians in Iraq? Do you think Christians in the Middle East are suffering from an identity crisis? There is an identity crisis for those whose mentality is too limited to understand that the Christians of the Middle East are the sons of this land, neither passing residents nor a “community,” as some sectarian people delusionally believe. IK: Identity crisis?! Definitely not! They are one of [the country’s] most ancient indigenous peoples and an authentic part of its social fabric. I do not think there is a tragedy for Christians. In fact, there is a bitter reality that burdens all Iraqis so much so that it has become threatening to the components of the Iraqi character. There is an identity crisis for those whose mentality is too limited to understand that the Christians of the Middle East are the sons of this land, neither passing residents nor a “community,” as some sectarian people delusionally believe. MN: At the beginning of the novel, Wardiya mentions a “witch expelling the people of the country [Iraq] into the four corners of earth.” Is the witch an implicit symbol of a certain party responsible for the fragmentation of Iraqi society? IK: The novelist may interlace realistic imagery with imagination without levelling accusations at anyone. Nevertheless, let me tell you that societies do not disintegrate as a result of external factors alone. As the well-known saying goes: “Man is his own worst enemy.” I also admit that there are “implicit signs” in my writings. MN: Iskandar, a teenager whose father calls him the gravedigger, makes an electronic cemetery to bring together the spirits of Iraqis who die in exile. The project resuscitates his relationship with the country he belongs to but does not know, particularly since he lived in Paris. Is digging up memories the profession of migrants? Do you think those living in Basra, Aleppo, Kuwait City, Beirut and Alexandria do not suffer from the hammers of memory? IK: Digging up memories is the profession of both migrants and residents in the Arab world. Do you think those living in Basra, Aleppo, Kuwait City, Beirut and Alexandria do not suffer from the hammers of memory? Do you think they do not suffer the anguish of the troubling question: “What has befallen us?” Perhaps internal exile is more painful than the impact of external exile. MN: Themes of life and death intersect in a remarkable way through Iskandar’s virtual cemetery and Wardiya’s character, the gynaecologist who “pulls babies from mothers’ tummies.” To what extent are boundaries between life and death blurred in Iraq today? IK: The answer to this question can be found in newspapers and news bulletins, and it makes one pessimistic. I strive to drive it away from my mind and writings because I know how life-loving these people are. Only those nations that stick to life can build civilizations. They tame animals and tune their daily lives to the rhythms of nature — namely, sunshine, rain, floods and sandstorms. They build cities, invent the wheel, issue laws and sculpt statues of Nineveh and winged bulls. Are we less determined than our forefathers? Perhaps, Iskandar, my young protagonist, rushed to my rescue when he resorted to the idea of the electronic cemetery. It is a temporary solution that satisfies people who love life and travel in search of it and in doing so become scattered across distant continents. It worries them that they and their loved ones go their separate ways because of the randomness of their journeys. A cemetery that is bursting with music, colors, trees and arts and flies on the wings of imagination. MN: Wardiya says she “does not want to slide into the trap of nostalgia . . . It is a psychological illness that attacks the fragile and affects the defeated.” Did you succumb to nostalgia while writing Tashari, particularly since you have been living outside Iraq for decades? As for recounting Dr Wardiya’s life story, it is just a pretext to write about the Iraq of yesterday; it is not nostalgia so much as my responsibility as a mother towards my sons and daughters. The country they and their friends have seen on television over the past years, burning and bleeding on a daily basis, has never been a land of bombings and assassinations, but an ancient and generous country that was pleasant to live in. IK: Nostalgia does not give one notice nor postpone its trap until after more than 30 years. I am lucky to be living in one of Europe’s most active countries in terms of Arab culture. My friend, the Moroccan writer Mohamed Al-Bahi, used to describe Paris as the beating heart of Arabism. My choice [to live in Paris] came from my need for the luxury of freedom, as I have been neither a refugee nor an exile. As for recounting Dr Wardiya’s life story, it is just a pretext to write about the Iraq of yesterday; it is not nostalgia so much as my responsibility as a mother towards my sons and daughters. The country they and their friends have seen on television over the past years, burning and bleeding on a daily basis, has never been a land of bombings and assassinations, but an ancient and generous country that was pleasant to live in. MN: Several prominent Iraqi writers have emerged, particularly following the 2003 invasion of Iraq, such as Hassan Blasim, Ahmed Saadawi and Sinan Antoon, who have dealt with the bloody scene in Iraq. Tashari steers away from directly tackling the mechanisms of violence, despite the fact that it is the generator of the novel. What is your take on that? Violence tires me, and my description of its mechanisms cannot match the skill with which it is being committed on the ground. IK: Violence tires me, and my description of its mechanisms cannot match the skill with which it is being committed on the ground. Give me peace and I will describe it to you and furnish it with characters. Don’t you think that a warm, well-lit room conveys the darkness to us? MN: This is the second time you have made it onto the IPAF shortlist, after the American Granddaughter was nominated in 2009. How do you feel about this? What is your view of the IPAF’s role in spreading the Arabic novel across the world? IK: Of course, I am happy. Should the IPAF, or any other literary prize, manage to publicize the Arabic novel among Arab readers, it would be enough and worthy of gratitude. MN: Two Iraqi novels have reached the IPAF shortlist. Does this reflect developments taking place in Iraqi fiction? Or is it a mere coincidence? We are experiencing a true upsurge in Iraqi fiction, as if we, the writers, are striving to capture the shocking events taking place in Iraq and monitor their reverberations from our own perspective. IK: It does reflect a development taking place in Iraqi fiction, which sees the publication of scores of titles every year. We are experiencing a true upsurge in Iraqi fiction, as if we, the writers, are striving to capture the shocking events taking place in Iraq and monitor their reverberations from our own perspective. This is taking into consideration that the publishing conditions [in the Arab world] are not favorable and that there are no cultural bodies that support young novelists. The novelists on the shortlist are just a humble sample of the massive number. This interview was originally conducted in Arabic and appeared on al-Sharq al-Awsat.